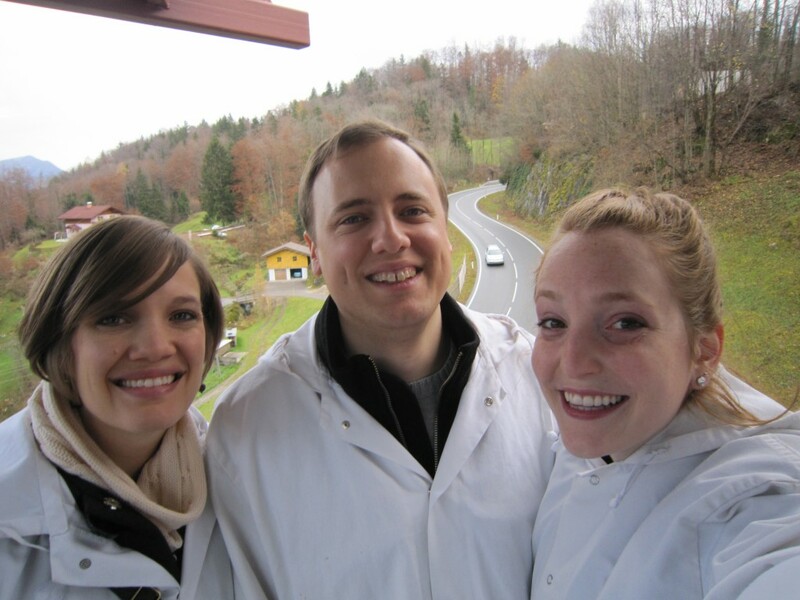 Last weekend, I spent a delightful time playing tour-guide for my lovely sister and brother-in-law! 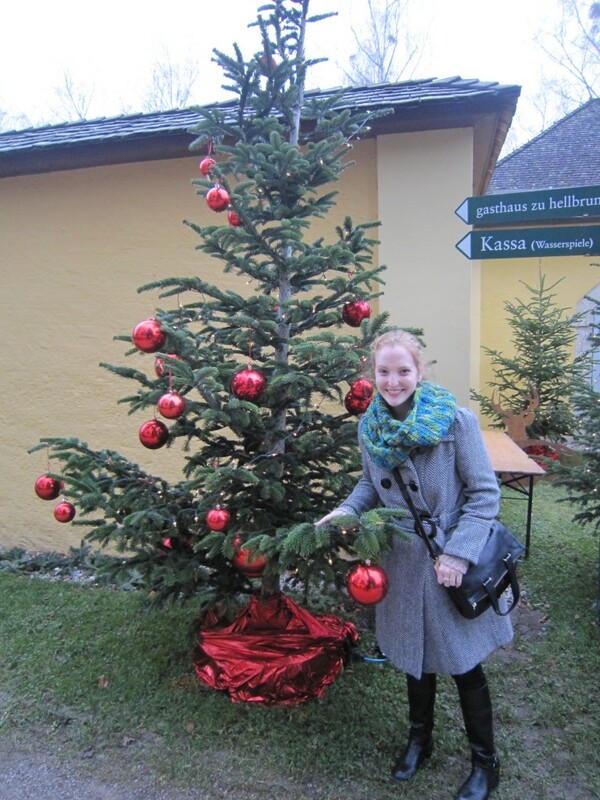 I really enjoyed showing them all of my favorite places in the city of Salzburg. We even saw some new things, too! 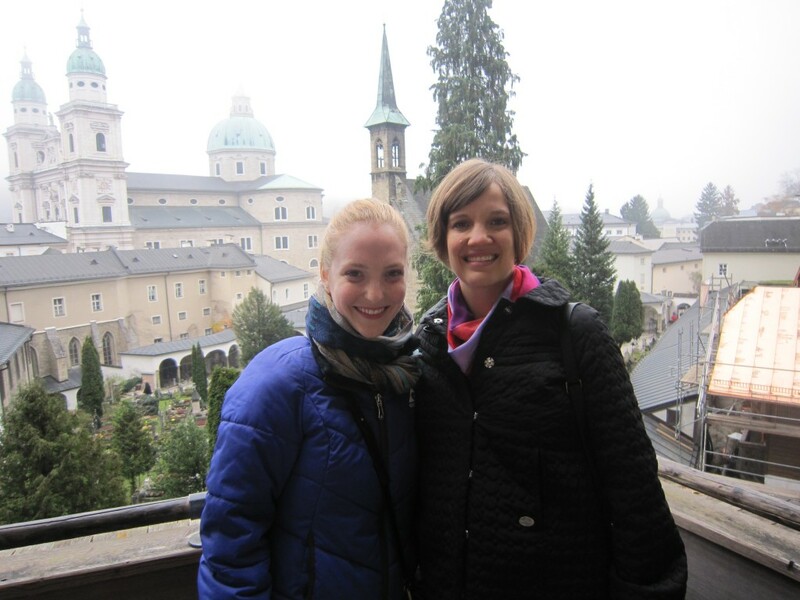 To begin our weekend in Salzburg, Abi and Lance and I spent a lovely time touring the Altstadt of Salzburg. We attended mass inside the Dom, which, while being long and rather chilly, gave a perfect impression of what mass might have been like in the first days of the Dom. The music resonating in the gorgeous hall washed over everyone. Once again, I admired the traditions and ceremony of a catholic service– especially as it was performed entirely in German. My favorite thing is always to find myself recognizing the verses from the Bible reading. Somehow, these holy words sound even more special when recognized from afar. 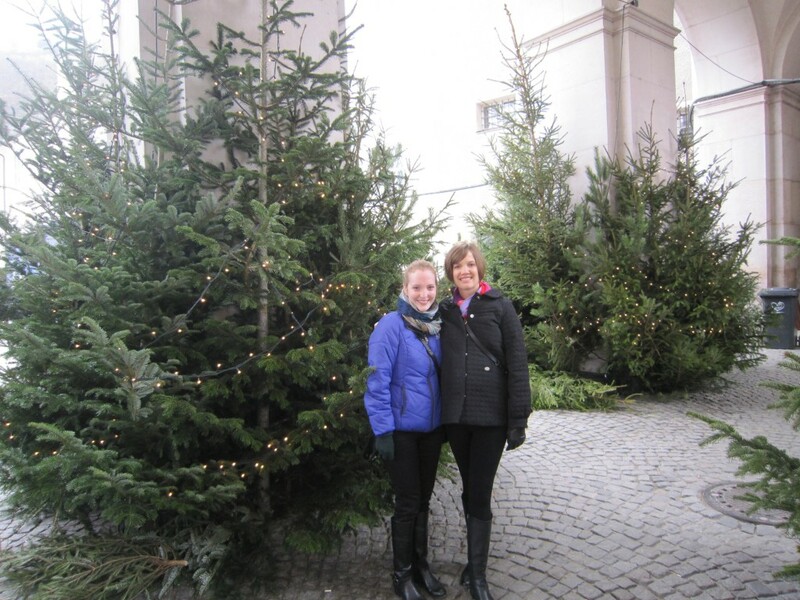 Afterward, we took a nice stroll through the Christkindl Markt just outside the Dom. 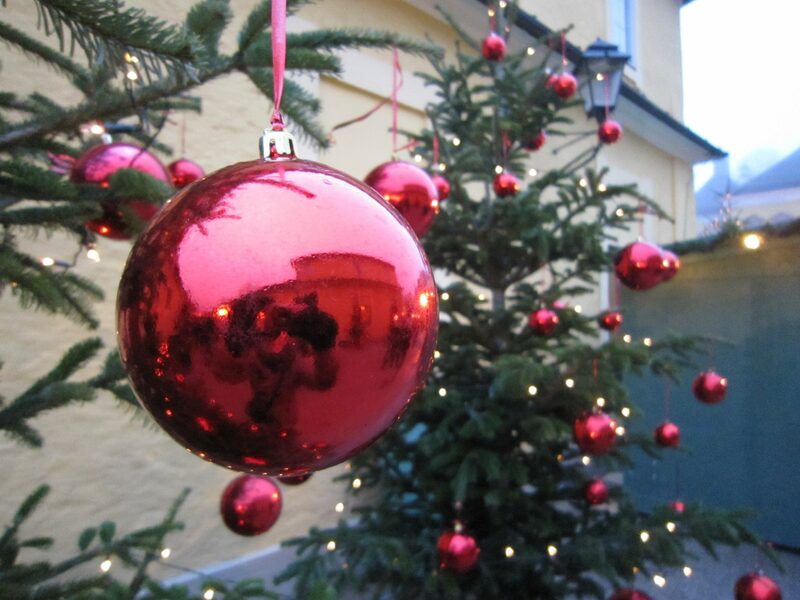 It’s DEFINITELY beginning to look a lot like Christmas here! 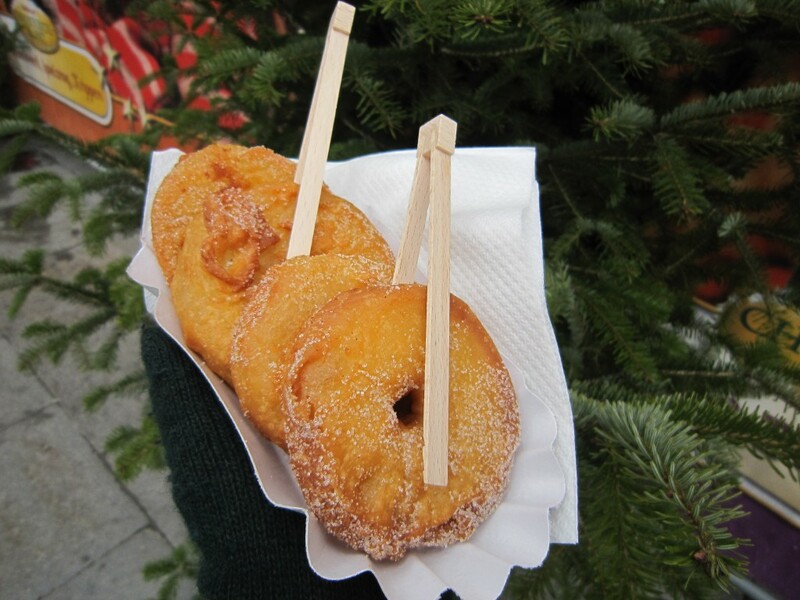 PS- delicious apple slices fried with cinnamon and sugar… I think the Texas state fair should take note! Yum! 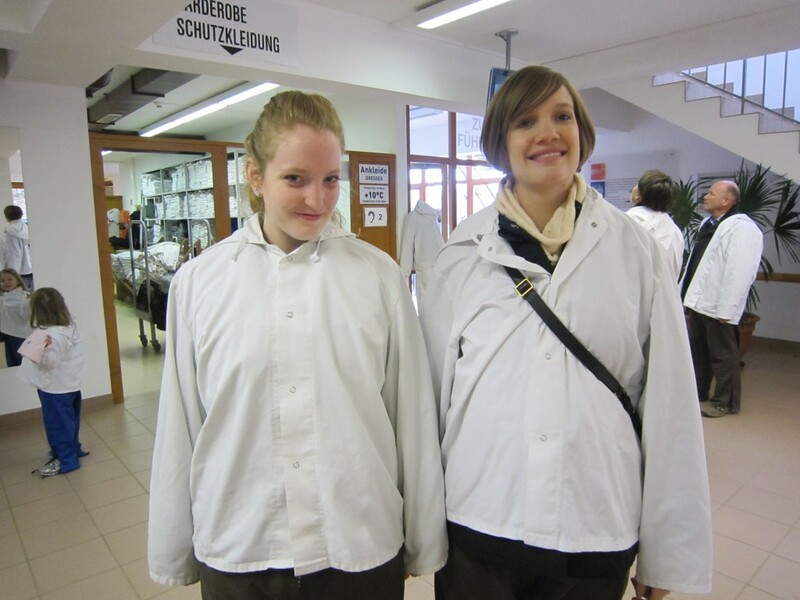 Once this weekend, we took a nice trip to nearby Bavaria in order to tour a Salt Mine! We had such a good time dressing up in mine-shaft clothes, taking old mining trains, watching silly videos underground, and my favorite thing ever: sliding down the slides!! Sliding down a 40m wooden slide over and over makes for a VERY fun time for Mandi! It takes me back to the days when my family’s favorite steakhouse (Trail Dust) had a huge steel slide inside and I would beg and beg to eat there just to get to ride the slide. 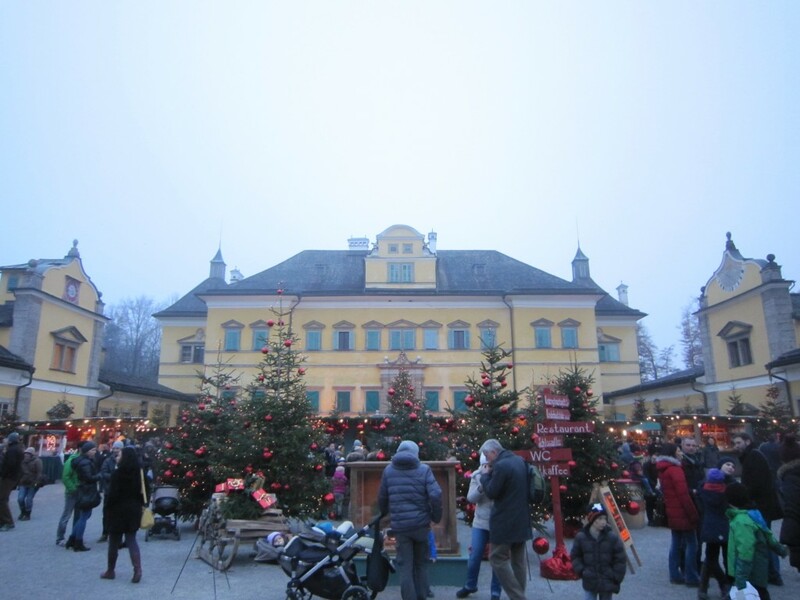 Later, Frau B drove us to Schloss Hellbrunn to see their beautiful Christmas Markt! 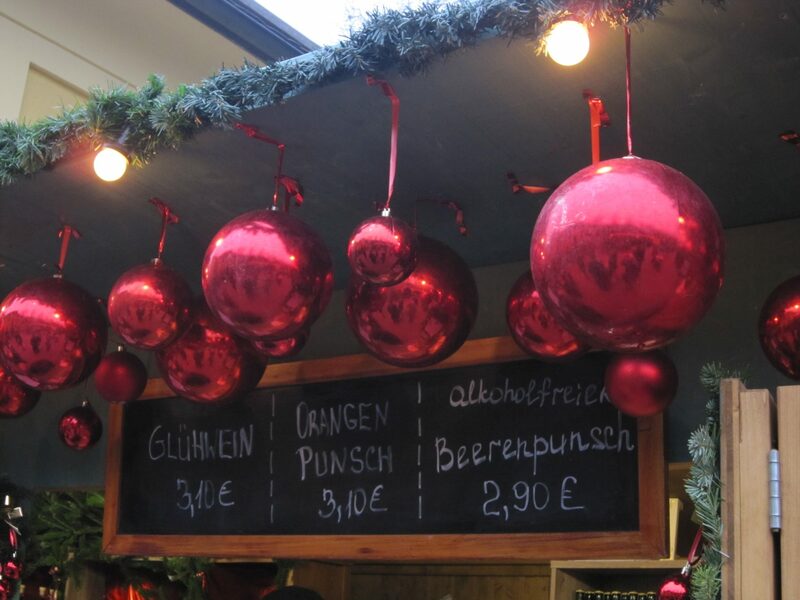 This is officially my favorite Christmas Markt to date. 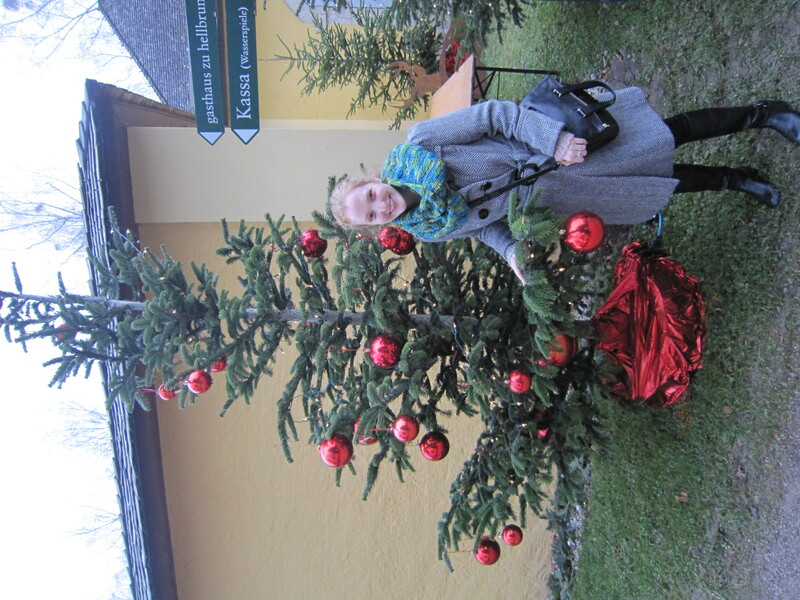 The lane up to Hellbrunn was lined with utterly gorgeous Christmas trees decked out nicely with glowing golden lights and cheerful red ornaments. 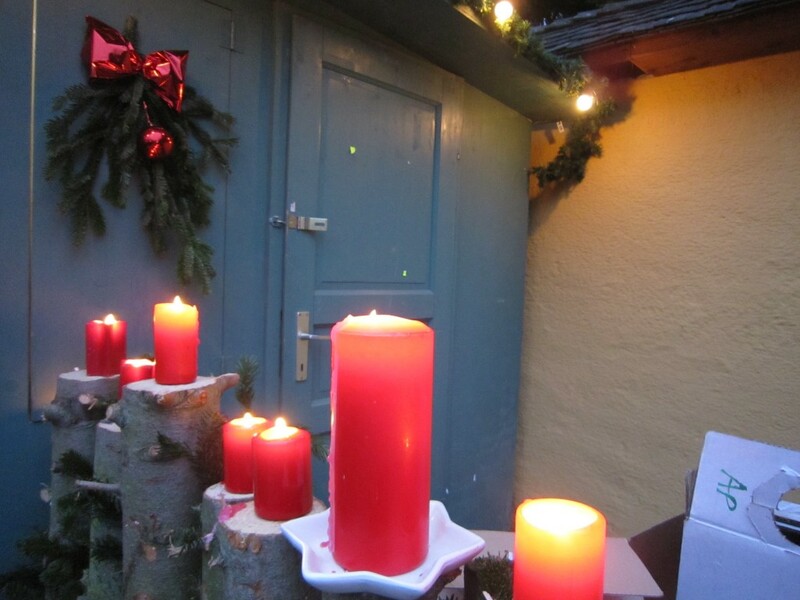 Little shops along the way provided passers-by with handmade wool crafts, hot chestnuts, and sparkling ornaments to purchase. 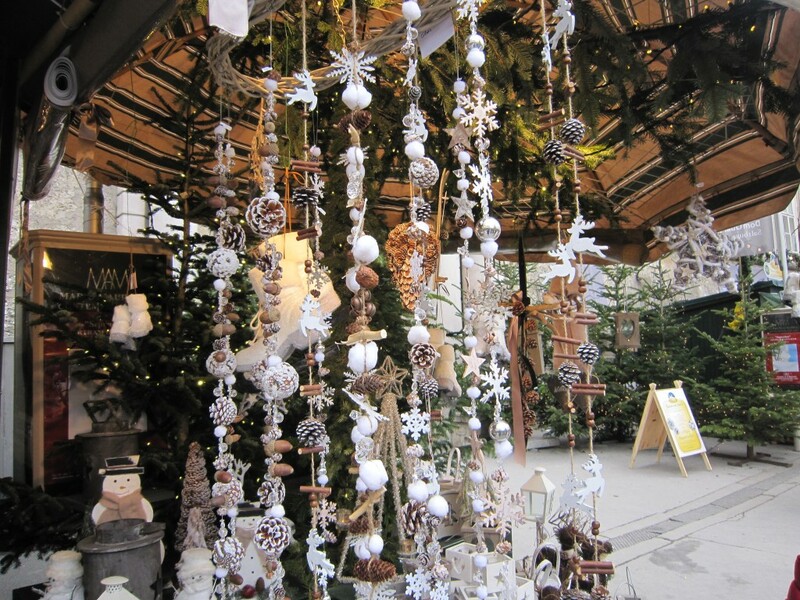 Walking through this Markt warmed my heart. 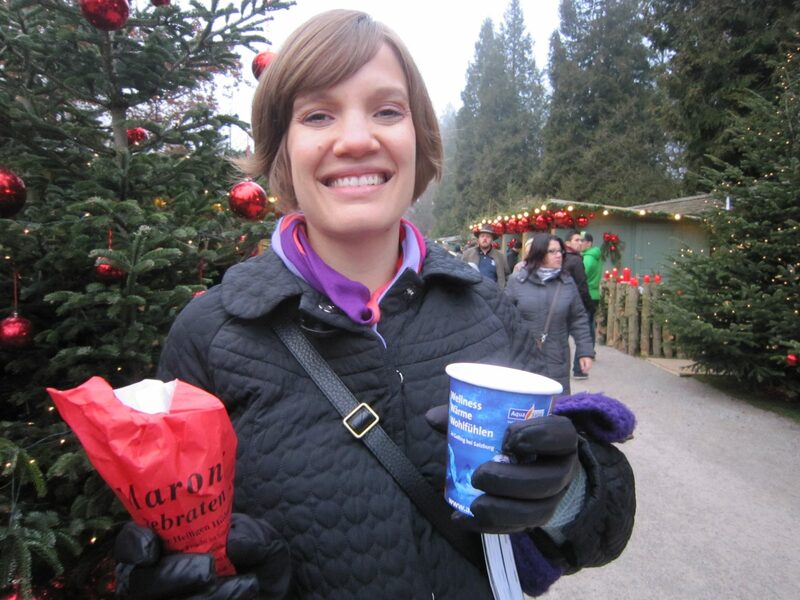 I loved trying all the new seasonal delights Salzburg brings during Christmastime. 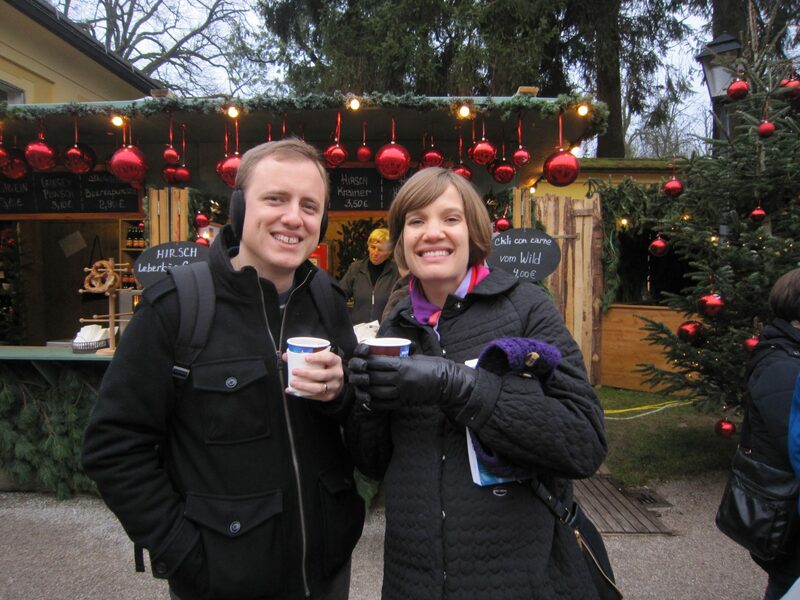 Gluhwein and fruit punch steam from warm mugs in frozen fingers, bringing deep warmth and delightful aroma. 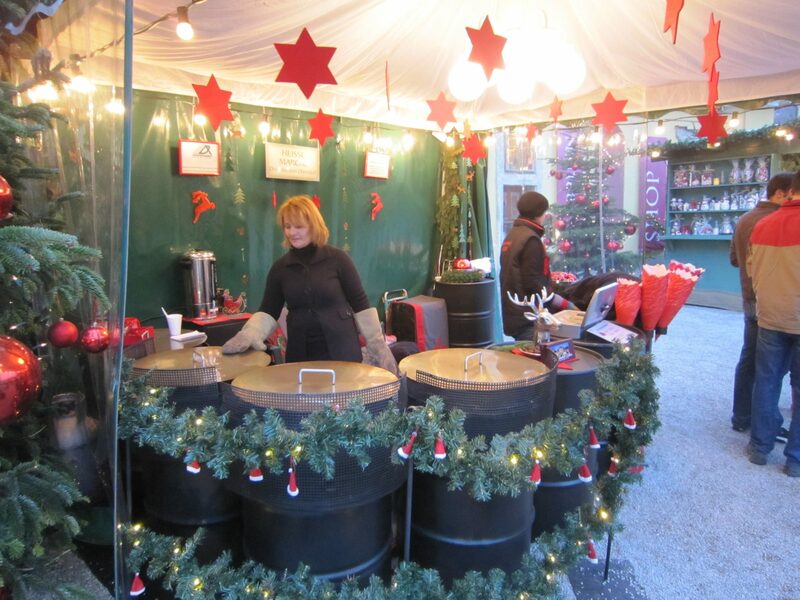 Roasting chestnuts (Maroni) tempt visitors, and maroni shells underfoot really look like Austria to my eyes. 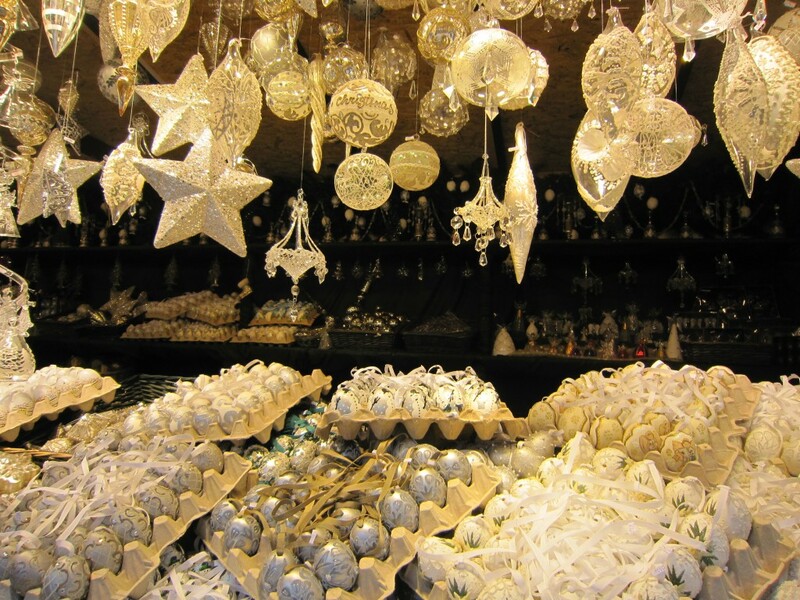 New sweet stands glimmer between glittering ornament displays. 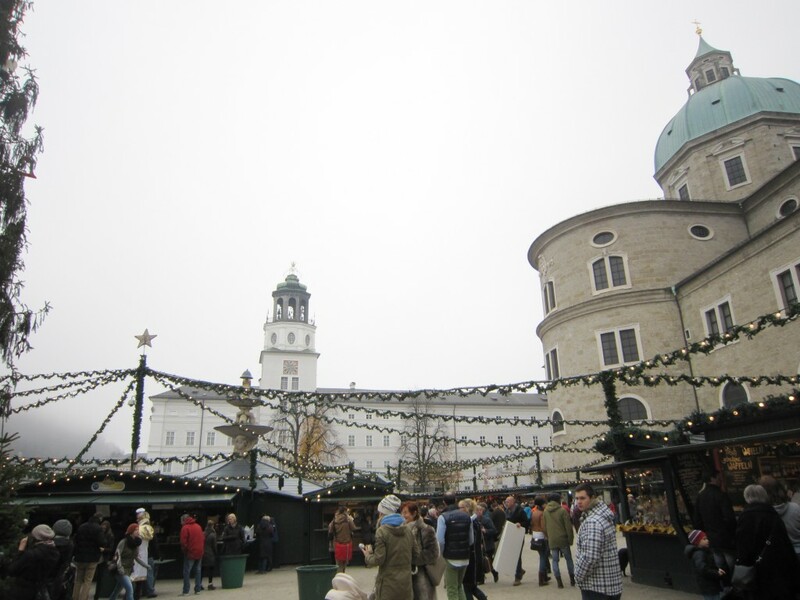 A Christmas Markt in Salzburg is a magical wonderland for all the senses! 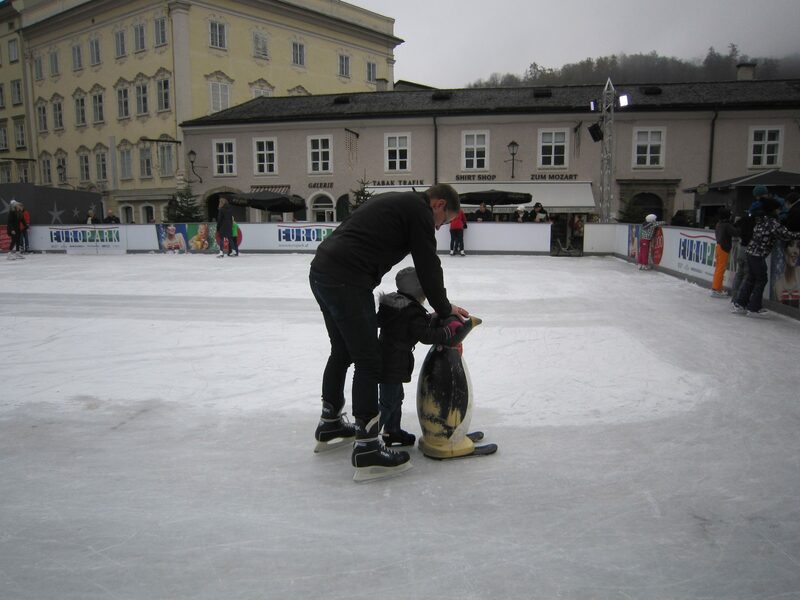 Throughout the weekend, I also thought about how beautiful a place Salzburg is for children. 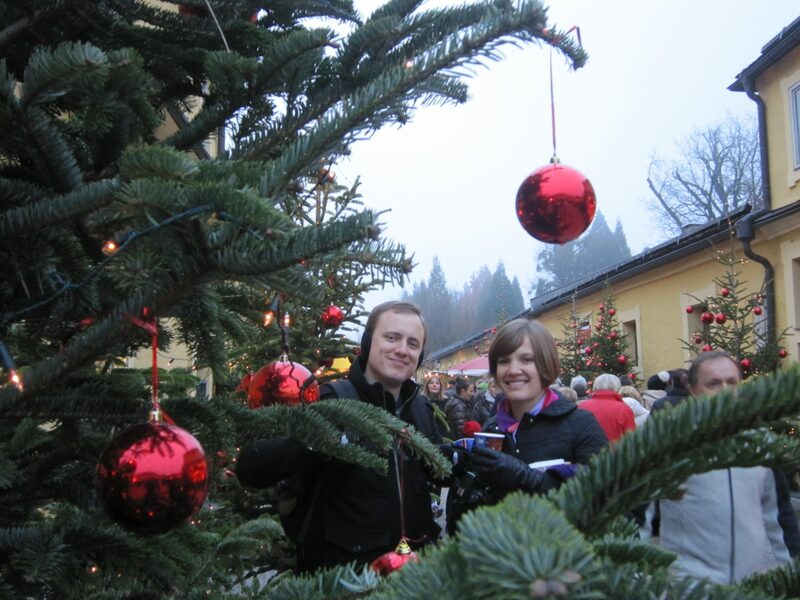 We watched little ones running around the markets, snuggled up warmly in hats and mittens and coats, or laying cozy and warm inside woolen blankets in strollers. Little pink noses surrounded us on all sides. The toy windows that we have passed for months now suddenly seem so much more inviting. 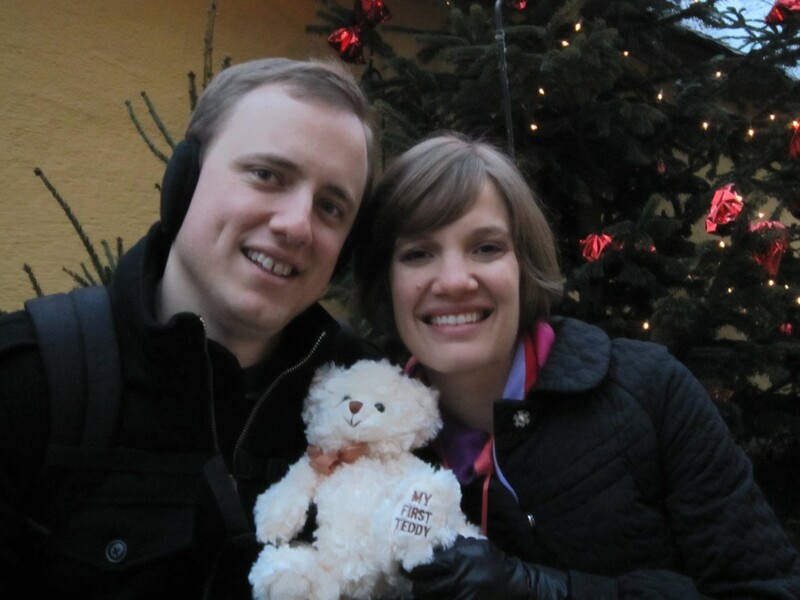 The purchase of a little girl’s very first teddy bear brings joy to all hearts. 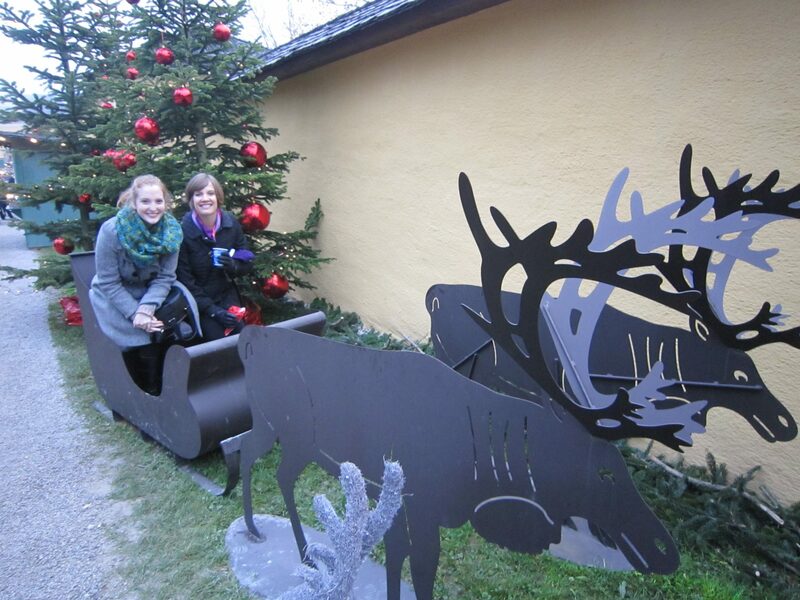 Ice skating, winter treats, and petting zoos abound in Salzburg during this time of year. I am so excited to begin my journey toward being an aunt here, in a place so welcoming to the youngest among us.